Let It Snow! Free HVAC Equipment If It Snows on December 25! I have plenty of important roles as the HVAC blogger dog for Russell & Abbott and the community we serve. I keep people informed about ways to save energy with their air conditioning systems, how to improve their heating during the winter, ways to boost their air quality. I even occasionally offer advice about pets—hey, it’s the least I can do for my furry brothers and sisters! But there’s no HVAC blogging job that’s more important to me, or a subject more important to our Russell & Abbott team than SAFETY. We want all of our customers to have HVAC systems that keep them safe as well as comfortable. That’s why we make combustion analysis an essential part of our service for furnaces. You can probably guess a bit about combustion analysis from its name. Your natural gas furnace combusts fuel to create the heat that then warms up the air. Combustion analysis is a special inspection a licensed HVAC professional makes on a furnace before doing any further work on it. The analysis checks to see if there are cracks along the heat exchanger of the furnace. The heat exchanger is the metal compartment in a furnace that holds the hot combustion gas and heats up—so when the air from the blower moves through and around the exchanger, it picks up the heat that spreads to the rest of the house. If there are cracks in the heat exchanger, it will allow carbon monoxide (CO) to get into this airflow and into the rest of the house. And CO is deadly! Because it is colorless and odorless, it’s difficult to detect—and that’s why combustion analysis is so important. The technician finds out early if there’s a danger of CO leaks so the homeowner can schedule heater repair in Farragut, TN. You might have read before on my blog that not all technicians and contractors are equal. In fact, there are plenty of unlicensed folk out there who’s only qualification for HVAC work is “owns a truck with some letters on the side.” Maybe not even the letters. But even licensed HVAC technicians may not use advanced combustion analysis techniques, and instead rely on old tricks like smoke bombs and scented oils—if they bother to do the combustion analysis at all. Our technicians always perform combustion analysis before doing any furnace repair work, and they use the best in cutting-edge digital equipment. There’s no other option for us: our customers’ safety is vital, and we’ll never do anything but the best job with the best tools. 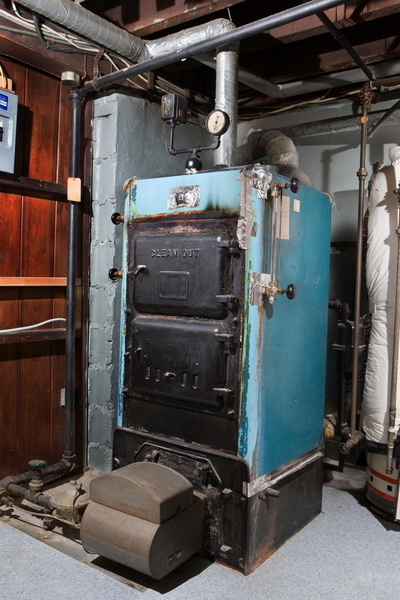 Combustion analysis is a job our technicians also perform during heater maintenance in fall. It’s one of the most important parts of seeing a gas furnace will work as it should and with minimal risk of any kind of malfunction for the winter. If you haven’t signed up for maintenance yet this fall, we’re ready to schedule it for you through our maintenance program, The Comfort Club. Schedule your important furnace service today! Russell & Abbott serves Maryville, Knoxville, Alcoa, Blount County, Knox County and Loudon County.